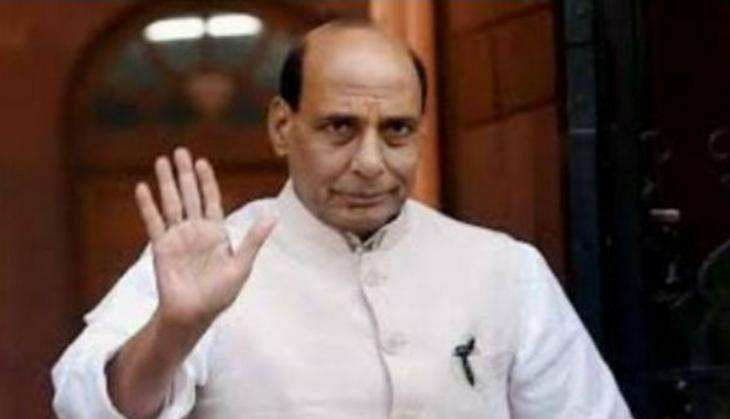 Union Home Minister Rajnath Singh on 8 December assured that the government will launch the rescue operations immediately after the intensity of the cyclone reduces and evacuate the tourists stuck in Andaman's Havelock island. "Spoke to Lieutenant Governor of Andaman and Nicobar Islands, Dr. Jagdish Mukhi who apprised me of the situation in Havelock Islands. All the tourists who are stranded in Havelock Island are safe. The government has made all the preparations to evacuate them," Singh tweeted. Singh also appealed to the family members of the stranded tourists not to panic. "The government will launch the rescue operations immediately after the intensity of the cyclone reduces. The teams are ready in Port Blair. I appeal to the family members of stranded tourists that they should not panic as everyone in the Havelock Islands are reported to be safe," he added. Andaman and Nicobar Islands Governor Jagdish Mukhi yesterday confirmed that 1,400 tourists are stuck on Havelock Island and added that the administration has asked them to stay indoors till the weather gets normal. The Indian Navy yesterday informed about their ships reaching Havelock Island and the evacuation of tourists from there to Port Blair to start as soon as the weather gets normal. Tourists were stranded at Havelock Island after heavy rains lashed the region. The Andaman and Nicobar Disaster Management, which speculated cyclonic storm to hit the area, contacted Indian Navy and requested for an evacuation process be initiated.